WIN a copy of Three Dark Crowns by Kendare Blake! I don't know about you, but I am totally obsessed with Three Dark Crowns by Kendare Blake. It's hands down one of my most favourite reads of this year so far, and I am thrilled to be supporting Katharine in the Three Dark Crowns campaign hosted by My Kinda Book. You can see why I am hoping for Katharine to become queen in my latest video on my channel. 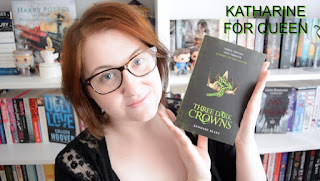 Because the video was very kindly sponsored, I have decided to run an international giveaway for the chance to win a copy of Three Dark Crowns! You can be anywhere in the world, as long as Book Depository ships to you, you can enter. All you have to do use the Rafflecopter widget below to enter. There's lots of additional ways to gain extra entries, but the only one required to take part is to be subscribed to my YouTube channel. You can enter the Twitter part of the giveaway once per day. The winner will be contacted within two working days of the competition closing. They will have one week to respond, otherwise an alternative winner will be chosen. The edition sent will likely be the Arsinoe edition, but this is subject to chance. No alternate prize can be given. If Under 16, you must have parental consent to give out your address. The Way You Make Me Feel - Book Recommendations! So recently I was quizzed by the lovely Liz over at LetsBookAboutIt, she asked me a series of questions in her "The Way You Make Me Feel" blog series, it was so much fun! Make sure to check out her blog! 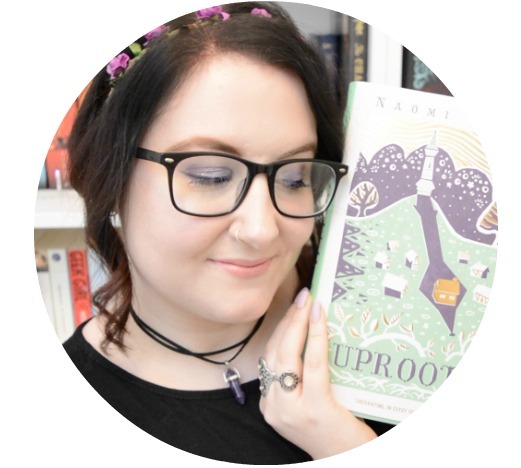 Liz asked me a series of questions relating to book recommendations, and we thought it would be fun to share the answers here too! Thank you so much Liz for the questions, they were a lot of fun!